PESHAWAR -- Afghan refugees residing in Pakistan are jubilant over Prime Minister Imran Khan's announcement to grant them citizenship in their host nation. Khan September 16 in Karachi declared his intention to help resolve problems faced by Afghan and Bangladeshi refugees who came to Pakistan more than four decades ago. "When those who were born and grew up in Pakistan don't get jobs for want of identity cards, they engage in crimes," he said, adding that refugees who have been living in Pakistan for more than 40 years will receive national identity (ID) cards and passports. Khan confirmed his decision later on September 18 as he spoke at the National Assembly. Under the right to Pakistan Citizenship Act 1951, those born to refugees in Pakistan are also entitled to citizenship, he said. "We cannot force their repatriation according to UN [United Nations] conventions," he said. "We are neither forcing them out nor giving them citizenship; what [will] become of them?" he asked, referring to the limbo that Afghan refugees presently inhabit in Pakistan. Pakistan is home to an estimated 3 million Afghan refugees, according to the UN High Commissioner for Refugees (UNHCR). 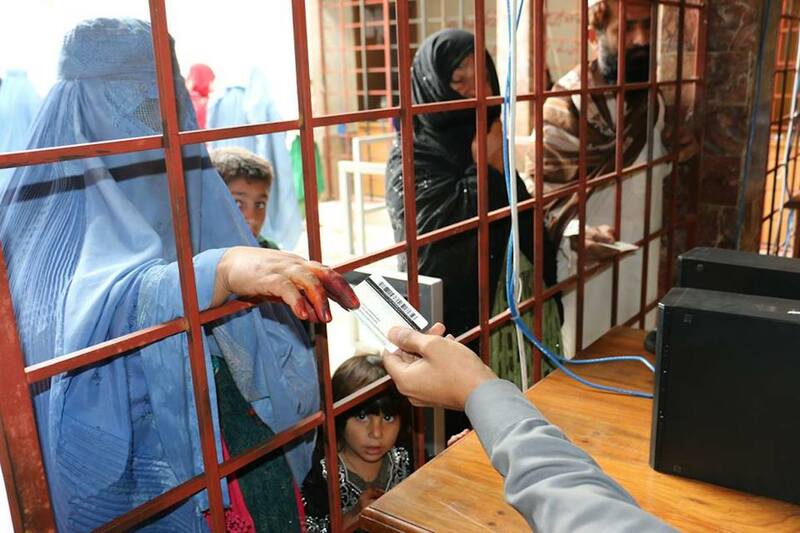 That figure includes about 1.4 million registered refugees and 850,000 unregistered who have obtained Afghan citizen cards from Pakistan, with the remainder of the refugees residing illegally in the country. An estimated 60% of the Afghan refugee population in Pakistan was born in Pakistan, meaning almost 1.5 million individuals stand to benefit, according to UNHCR. Every year, the number of Afghan refugees increases by 80,000 new births to refugee parents in Pakistan. Granting long-time refugees citizenship "will strengthen the relationship between Afghanistan and Pakistan and will [make the fight against terrorists more effective]," Peshawar-based senior security analyst Brig. (ret.) Mehmood Shah told Pakistan Forward. "It will also make the Afghan government happy," he said. 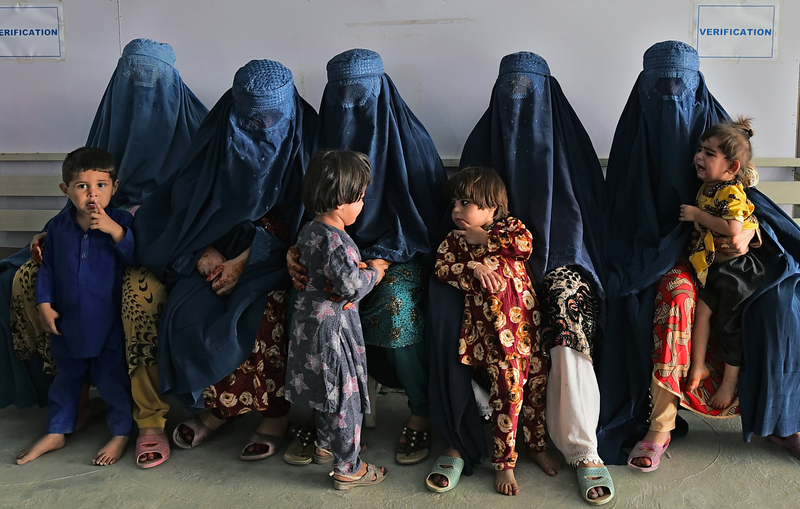 "Afghans living in Pakistan are vulnerable to diseases and lack basic facilities, and this step [towards citizenship] will bring much-needed relief to the marginalised." Shah called Khan's move a positive step, adding that it will help alleviate the prevalent anti-Pakistan sentiments among Afghans. 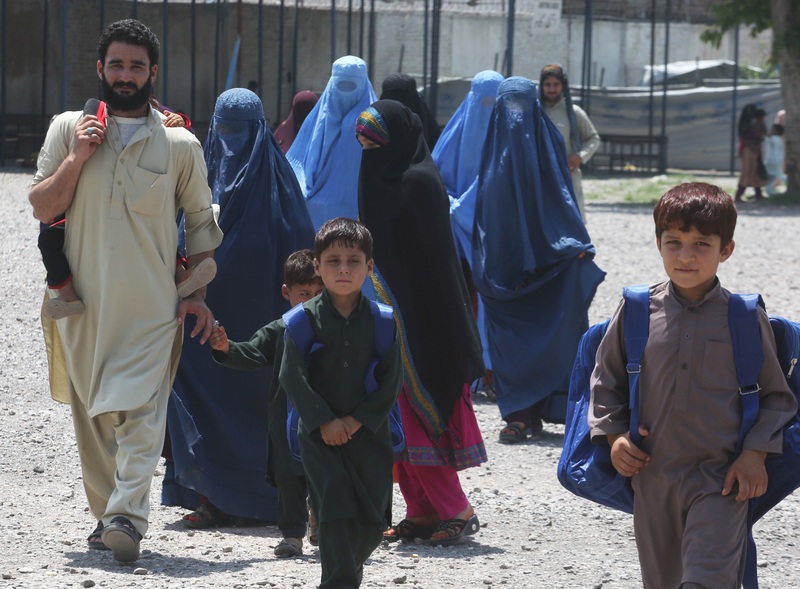 Afghan refugees in Pakistan should have been granted citizenship long ago because most of those who are born in Pakistan have no intention of going to Afghanistan, said Abdur Rehman, a political scientist at the University of Peshawar. "The Afghan youth who are in schools, colleges and universities are happy in Pakistan as the situation back home [in Afghanistan] is not that good. Therefore, the idea [of citizenship] is highly appreciable," he said. "Citizenship is the only way to mainstream Afghans into the local community." "Doing so will help the government to trace [Afghan refugees] in case of their involvement in any criminal activities," he added. The prime minister's announcement was a welcome move, added Mian Iftikhar Hussain of Peshawar, a leader of the Awami National Party (ANP). "[Afghans] have become the worst victims of terrorism, and they should be extended all facilities on humanitarian grounds," he said. Most of the Afghans lack the basic necessities of life and Pakistan should recognise them as citizens so they can lead prosperous lives and spend their energies on the development of Pakistan, he continued. "We are jubilant over the prime minister's idea of giving us citizenship. We haven't been to Afghanistan ever and consider Pakistan our own country," Shafatullah Shah, a 20-year-old Afghan refugee based in Peshawar, told Pakistan Forward. "My parents migrated to Peshawar 30 years ago because of violence back home, and I was born and raised here," said Shah, who studies science at a private university in Peshawar. "Citizenship would give us the confidence to live here with dignity and respect." Aziz Gul, an Afghan refugee who came to Peshawar 25 years ago from Herat Province and runs a grocery shop in Board Bazaar, said he was pleased with Khan's announcement. "Terrorism has hit Afghanistan. There are also fewer opportunities for work and education than in Pakistan. Our children don't want to be repatriated; therefore, giving them identity cards by Pakistan is a wise decision," Gul told Pakistan Forward. "My three children go to a private school in Peshawar and are very happy," he said. "It is because of our presence in Pakistan that I am working and that they are receiving an education. We have electricity and hospitals here. In Afghanistan, militants have destroyed everything." Three generations of Afghans now live in Pakistan and consider it their own country, said Muhammad Akram, a Peshawar-based Afghan elder. "Giving Afghans Pakistani citizenship will benefit [them], who are confronting a variety of challenges. We want citizenship to be given to [Afghans] living in all parts of Pakistan," Akram said. "We are thankful to Pakistan for the hospitality it has been providing us for the last few decades and hope our children will get citizenship here," he added. Janat Gul, a vegetable vendor in Peshawar, said his parents migrated from Jalalabad, Nangarhar Province, in 1988, but that he has never been there. "I was born here and consider [Pakistan] my country. Imran Khan's announcement is a big gift to us, and we want the Afghan government to persuade Pakistan to implement the plan," he said. Pakistanis have endorsed Khan's idea, including immigration officers at the Bacha Khan International Airport in Peshawar. "Pakistan doesn't have any agreement with Afghanistan to allow dual nationality. Anyone wishing for a Pakistani passport and ID card has to first renounce his [or her] Afghan nationality," said one immigration officer who spoke to Pakistan Forward on the condition of anonymity. "We have been arresting many Afghans for having fake Pakistani passports and ID cards, and granting them citizenship will provide a new life to the Afghans," he said. Pakistan's Interior Ministry has asked all the provinces for details on their Afghan refugee residents, Shaukat Yousafzai, spokesman for the Khyber Pakhtunkhwa provincial government, told Pakistan Forward. "We are assessing the situation and will make laws to implement the plan," he said. Khan's government wants to streamline refugee policy, and the army already has started fencing the Pakistani-Afghan border, he added. It's a good initiative. We welcome it. We all Afghan Refugees welcome the announcement of Imran Khan. We will never cheat Pakistan. I think this initiative of Prime Minister is very good. By granting citizenship, it will eliminate inferiority complex amongst Afghans and they can continue their life as a free Pakistani. They can have access to those healthcare and educational facilities from which they are deprived. And I think this will be a little bit impossible and it's not so easy as other political parties have criticized the statement of Prime Minister. Anyhow, we are hopeful that the Prime Minister will continue his work on this initiative. I am happy that Pakistan provide us with shelter.